Rose City Park Presbyterian Church participates in three of the Presbyterian Church (USA) church-wide offerings. Through Moments for Mission during the each of the giving seasons, we learn and grow in compassion and understanding of the human condition. For over 30 years, the Presbyterian Peacemaking Program and the Presbyterian Church (USA) have been committed to pursuing a peaceful and just world. Our gifts to the Peacemaking Offering, given on World Communion Sunday in October, help sustain these efforts. Through the offering, RCPPC has supported local charities Oregon Food Bank, Wallace Medical Concern, Sisters of the Road, and national groups: The Climate Trust, Community of Welcoming Congregations, and Friends of Sabeel North America. Here at RCPPC, in addition to an all-church Christmas giving project to support a local charity, we participate in the Christmas Joy Offering. 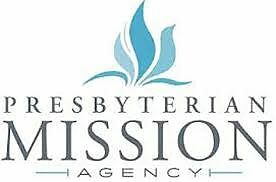 The offering (an annual tradition for Presbyterians since the 1930’s) provides financial assistance to current and former church workers and their families experiencing unusual need and provides opportunities for deserving students to attend Presbyterian-related racial ethnic colleges and schools. RCPPC continues to support non-profits aligned with food depravation, medical help, environmental causes and diversity. Organizations benefitting from the church’s contributions include Oregon Food Bank, Habitat for Humanity, the NE Emergency Food Program, HOMEpdx, Mainspring Portland, Village Support Network, Operation Nightwatch, Sisters of the Road, as well as Presbyterian and Ecumenical groups such as More Light Presbyterians, the Presbyterian Health Education and Welfare Association and the Community of Welcoming Congregations, which support social justice efforts locally and nationally.